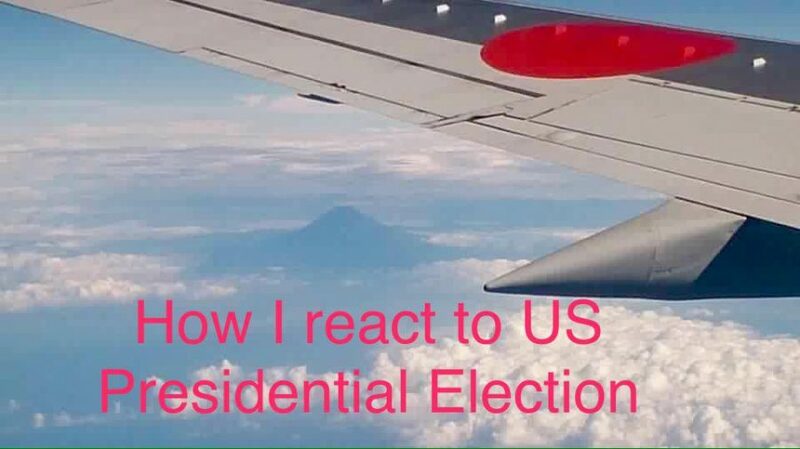 After the presidential election, I received a lot of messages from my family and friends in Japan. My older sister was especially concerned about me and my life in the United States. The outcome of the presidential election was unexpected for her. Like my sister, I also didn’t expect Donald Trump to be the next American president. I wasn’t completely offended by Trump’s campaign, but his behavior toward minority groups, religious groups and even women were not appropriate for a presidential candidate. He abused those groups of people during his election process. It surprises me that even though Trump abused minority groups, roughly half of the American population still supported him by the end of his presidential campaign. Now, this doesn’t mean that all Trump supporters hate minority groups, but I, personally, am scared to talk to American people even at school as I’m in the minority. When I hear the word “Republican” in general, anti-foreigners and anti-immigrants come to mind. That is why if people support the Republican Party, they may hate me because I am a foreigner. I might be wrong, but I created a stereotype in my mind for people who support the Republican Party. It is understandable why some local people are not satisfied if illegal immigrants have come to own the country and steal jobs. These locals want to support a politician like Trump who will try to regulate immigrants. Many Trump supporters want to take their country’s pride, value and status from other countries like Japan and China. Personally, I somehow agree with Trump in terms of issues of illegal immigrants. I was born and raised in Japan and my country is not a big immigrant country. If Japan was racially diverse and accepted a lot of immigrants, Japan would face racial and religious issues like America does. With these issues in mind, I will support a politician who wants to regulate immigrants. In the case of the 2016 presidential election, I think half of the American population supports Trump because they are tired of dealing with the issues of illegal immigrants and want to take back America’s pride and value from other countries.